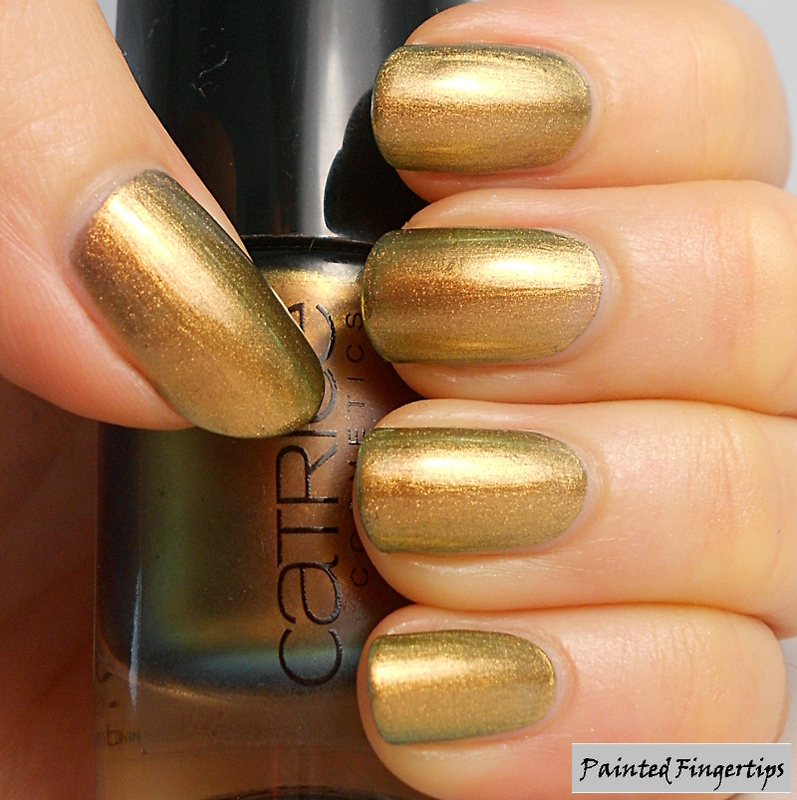 Today I have swatches of two Catrice nail polishes for you. Both are gorgeous duochromes. I am a sucker for duochromes so I love these both! With both of these the formula was very easy to work with and while they appeared sheer on the first coat, they built up very well. 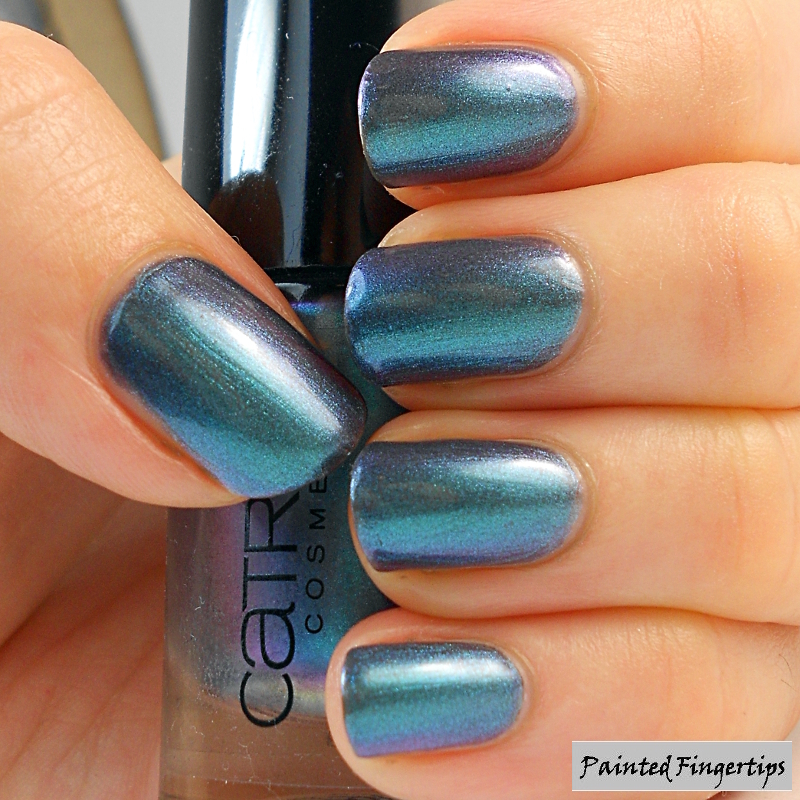 First up is Catrice Get the Blues. 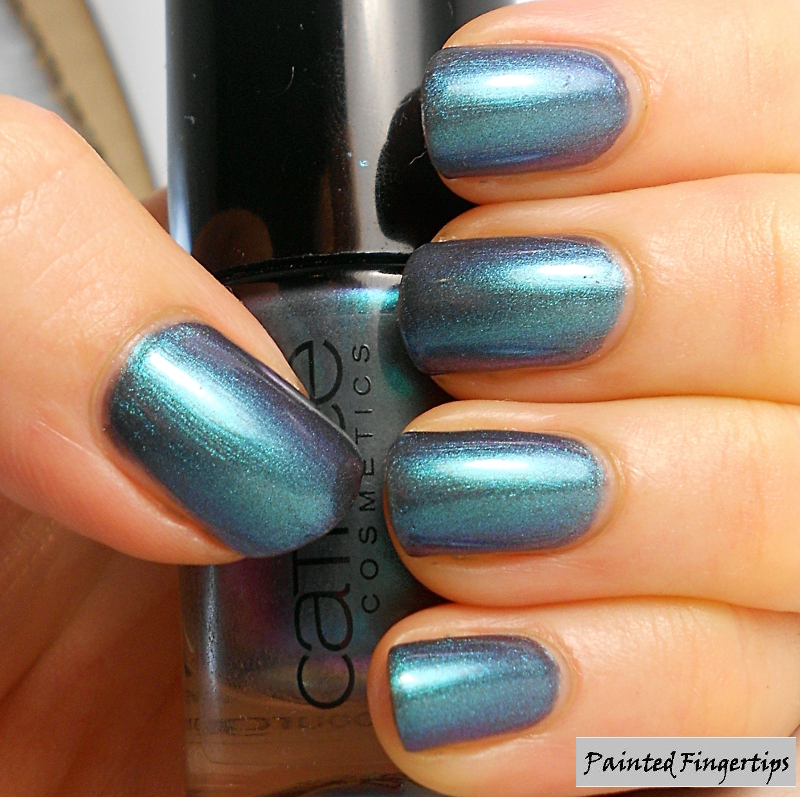 This is 3 coats of Get the Blues. It has a steel blue base which turns to purple at the edges. 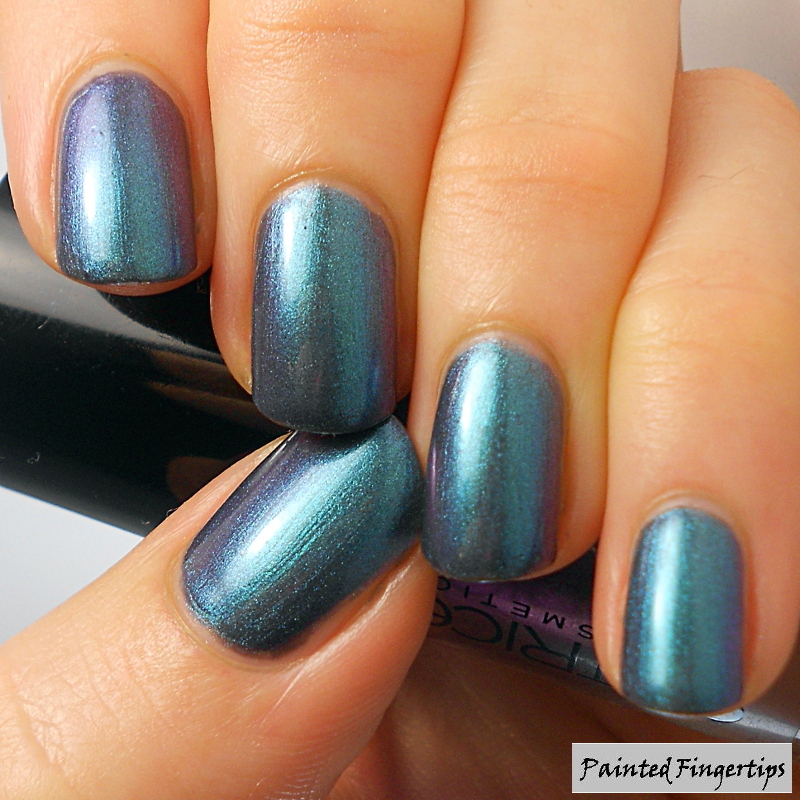 I love both blue and purple nail polishes – since this is both in one, it is a definite winner with me! Here it is in direct light: And best of all, here’s a shot to show you the colour range you get with this polish: The second one I have for you today is Catrice Genius in the Bottle. 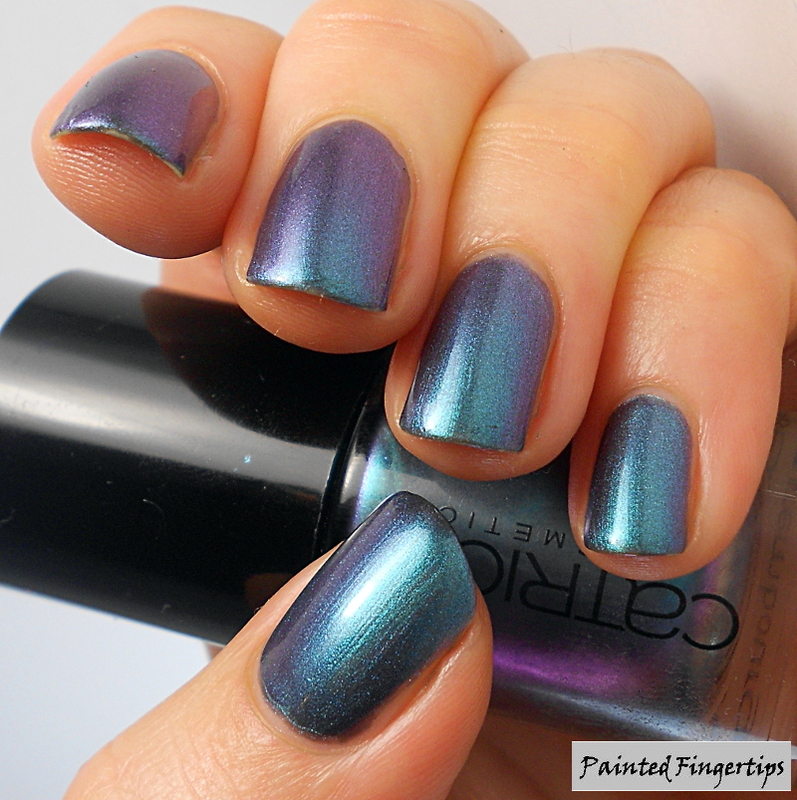 This is two coats of Genius in the Bottle with top coat. 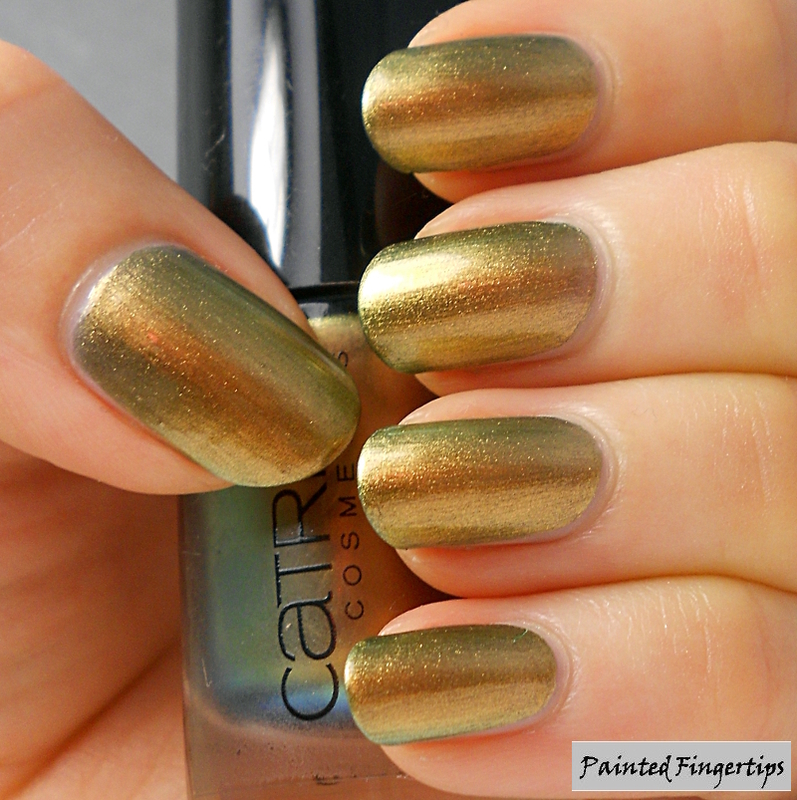 The main colour of this polish is a bronzed gold and it changes to a coppery green at the edges. I found the colour change to be slightly more in reality than in these pictures, but the gold is definitely dominant. I love both of these, but because I love blues my pick would be Get the Blues! Which would you choose? OMG how must I choose???? I LOVE the gold obviously but that blue, to die for! Can I have both? Haha! I know I said I’d pick the blue but honestly the gold is something really special too. Gold is not the best colour for my skin tone so even though I love it for nail art/stamping/etc there aren’t many I’d wear just like that, but this one is special enough to keep me happy!